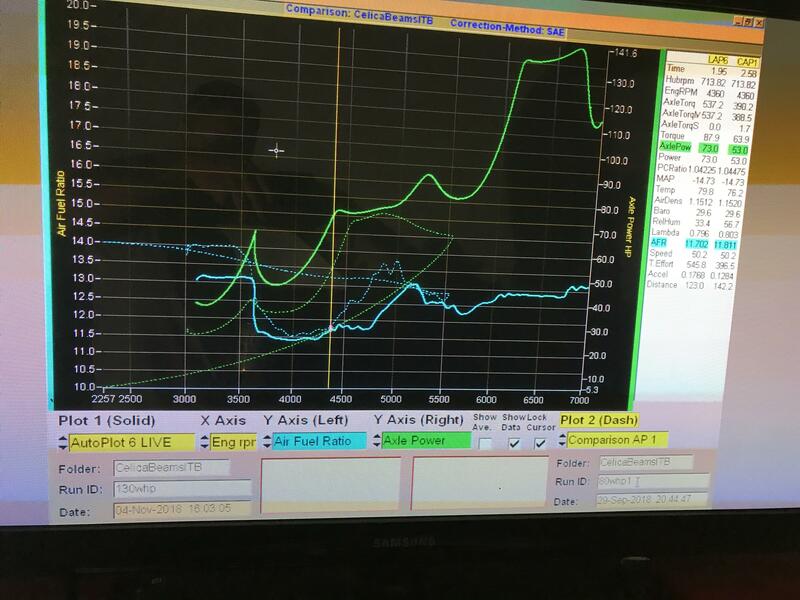 Hi, so I have a 3sge Beams motor with G4 Monsoon ecu, Mark Panic wiring harness, Toda Racing 264/265 cams, itb’s and the car runs but when I took it to get dyno tuned it seems the vvti is not working. The tuner tried to ad more timing to the cams to see if they will change but nothing happens and the power will drop. Is there an option in the ecu where you have to turn on and set when the vvti should kick in? The beams has fully variable valve timing, it is not just on/off like the old Honda VTEC. It sounds like something isnt set up right. When you do the log, make sure the engine is up to normal operating temp and hold it at say 2000-3000RPM for a few seconds. Can you attach your tune file (.pclr) also. It doesnt look like VVT is set up at all from your log. The VVT target is zero for the whole log. Has this been tuned already? It seems there is a lot of stuff not working right in your log? I don’t have any of the tuning log, It looks like the tuner didn’t save any logs. How can I go about setting up the vvti? You still havent attached your .pclr which I've asked for 3 times. Your VVT is still likely not going to work because it looks like from the logs the ecu is not even commanding the cams to move. That is a log file not the map. To save the map/tune/config/calibration, whatever you like to call it, you just connect to the ecu then go >file>save as. the file will have a .pclr extension. The video that I linked to in my first post shows you how to do this. Oh ok sorry about that I’m not that experience with tuning or computers. 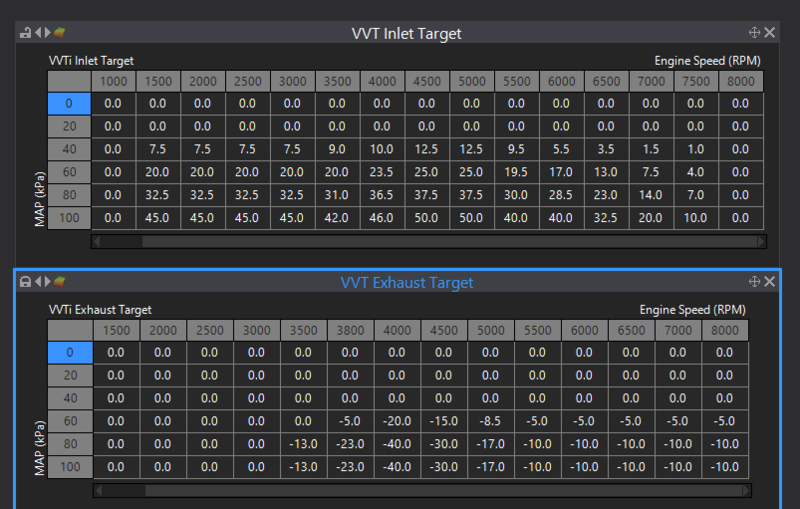 So it looks like most of the inputs and outputs have been set up correctly, but the VVT target tables just have zeros in them (well the intake has one row with small numbers in it but nothing useful). It also looks like the intake might need the VVT offset adjusted as the intake cam is reading about 2-4deg advanced in its home position. Tell the tuner to do the cam angle test on the inlet cam, using a test pulse count of 3, then use the result of this test as the trigger 2 VVT offset. Instructions below. 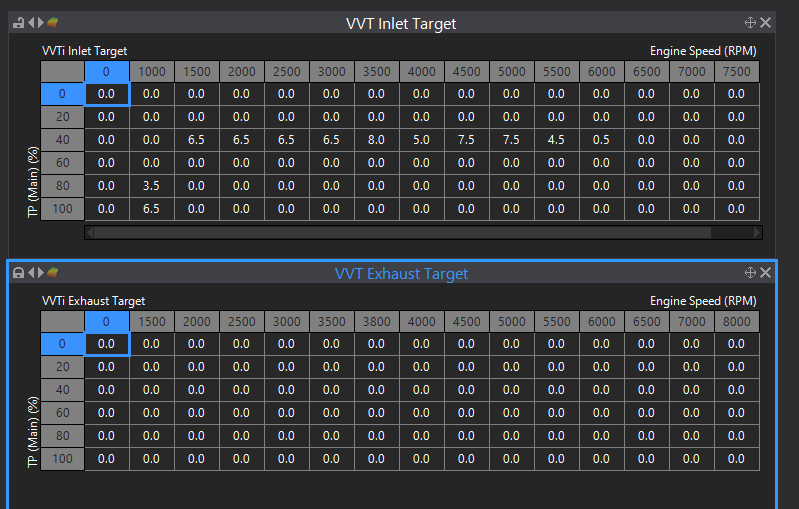 The tuner can possibly copy the VVT target tables out of our Altezza base map but as you have aftermarket cams he will need to make sure it is safe to do so from a valve interference perspective. Thanks Adam I appreciate all the help and I will talk to my tuner and show him this.